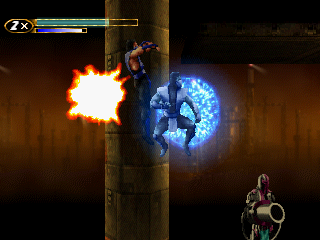 PSX Mortal Kombat Mythologies: Sub-Zero (USA) in 25:57.93 by Fly. This is an improvement of an existing run. Besides a set of small improvements, the main differences of this run are a new shortcut in the sixth level and much more qualitative score management. All of this in total allowed Fly to reduce the time of the run by nearly 3 minutes.